The evolution of Taiwanese rap has quite a different trajectory compared to its East Asian neighbors Japan and South Korea. In the song “Intro” by the Japanese rapper ECD from his 1997 album Big Youth, he dropped the following lines: “The energy came from the Bronx/where hip-hop was first discovered/from there across the ocean to Japan/a spark flew and caught fire/yes, it is the beginning of the legend.” However, in the first wave of Taiwanese rap songs created from the late 80s to the early 90s, such an imagined genealogy that traces back to the “motherland” of rap and hip-hop culture was never really referenced in the lyrics. Rather, the pioneers of Taiwanese rap were mostly folk and pop rock musicians. This is even clearer when considering that both Japan and South Korea had eras of lively local soul and funk music scenes before the 80s whereas Taiwan did not. Those music traditions are the aesthetic foundation for rap as it developed in New York City in the late 70s, and have been equally inspirational for the making of hip-hop sounds in different global settings. While Taiwanese rap may not have been nurtured by these African-American music traditions, it certainly is much more diverse in terms of language choice and cultural connotation. For instance, there are at least ten different languages that appeared in Taiwanese rap lyrics (Mandarin, Hoklo, Hakka, Atayal, Amis, Bunun, Paiwan, Tao, English, and French). This certainly is a reflection of the complex ethnic makeup on the island which propels rappers to engage in the language game to express their ethnic/cultural affiliations. In the following, I group Taiwanese rappers into four different categories based on language, style, and locality to illustrate this diverse picture of Taiwanese rap. “Grey coastlines” by Kou Chou Ching featuring Jeff from the T-Ho Brothers. The languages used in this rap song include Hoklo, Mandarin, Hakka, and Tao. In 1987, Mandopop singer Harlem Yu invented a rapid and rhythmic way to deliver Mandarin lyrics in the song “Yes, Sir” which is widely considered the very first Taiwanese rap song. This effort was followed by the 1989 album Songs of Madness by the group Blacklist Studio, in which several songs could be regarded as experiments with rap in the local Hoklo language. After these initial attempts to “localize” rap, Taiwanese artists who were either born in the United States or immigrants at a very young age became the main driver of Taiwanese rap as they returned “home” in the early 90s. The most obvious example is the group L.A. Boyz who grew up from Southern California and were discovered for their break dancing talent. Record deals were soon signed, and they released their first two studio albums in 1992, in which they had several rap songs in English with Mandarin/Hoklo hooks. They were, however, primarily marketed as a boy idol group and most of their works were actually slow-tempo Mandopop love songs. Another notable example is Jerry Lo a.k.a. DJ Jerry. Also born and raised in Southern California, Jerry Lo came to Taiwan at the age of 17 and later became a famous producer for his techno and hip-hop beats. He had his fingerprints on almost every Taiwanese rap songs in the early 90s, including “Shiam” and “Jump” by L.A. Boyz, “You Think You’re a Tough Guy” by Lim Giong, “Kung-fu Party” and “Monkey on my Back” by The Party, and “I am a Nutcase” by Jutoupi. He dropped his solo album in 1994, which despite its predominantly techno content, still has a song called “Walking Down the Street” that would remind you of Pete Rock and C.L. Smooth in their heyday. Following their lead, the next generation of these “home-coming” Taiwanese American rappers include Witness (from Texas), Manchuker (from New York) and his Asian Power crew, Jeff Huang (of L.A. Boyz) and his Machi gang, and finally Miss Ko (from New York), one of the few female rappers in Taiwan. “Walking Down the Street” by Jerry Lo. Don’t be fooled by Jerry Lo’s current status as a techno DJ. He has dropped smooth rap tracks like this before. “Stop Frontin’” by Witness featuring MC HotDog and Dwagie. In this song, Witness played with three different languages Mandarin, Hoklo, and English, while joking about his Taiwanese American identity. When Jerry Lo was working on his beat-making magic, he formed an alliance with a local kid by the name of DJ Thomas who became the ghostwriter for many of his rap productions. DJ Thomas would later drop his solo album in 1996, which is the first 100% rap album in Taiwan. It even featured the legendary Taiwanese DJ DJ Chicano scratching on one of the tracks. In the late 90s, Taiwanese rappers began to perform in the local live music scene. Initially there was a group called the C.K. Riders who specialized in covers and Chicano rap. Later on, MC HotDog, Dwagie (formerly Dog G), MC 168, and DJ J4 formed the group The Big Circus and became a force to be reckoned with. Their lyrics were written in Mandarin and Hoklo, rhyme schemes were much more complex, and contents were witty and sharp, ranging from prostitution to critique of pop music culture. They soon sparked the movement of Taiwanese underground rappers who would cultivate their crafts through live performances, record their songs in homemade studios, and accumulate their “street cred” and fanbase through word-of-mouth and social media. Based on the success in this newly established “underground,” MC HotDog and Dwagie soon released their first solo works in 2001 and 2002 respectively. They paved the way for future Taiwanese rappers to break into the mainstream music world, who include Daxi Men, The Iron Bamboo (with a notable Taiwanese-French rapper in the lineup), MJ116 (who would later collaborate with MC HotDog and form the supergroup G.U.T.S. ), and the most recent Nine One One. The line between underground and mainstream also became blurred. For example, the indie Taiwanese rap music label Kao Inc. established in 2005 have put Soft Lipa at the forefront of Taiwan’s rap game, who is known for his silky smooth flow and rhyming technique. The aforementioned Miss Ko was also signed by Kao Inc. and had since become an award-winning artist. “My Life” by MC HotDog. Sampling a 1970 Taiwanese folk song, this track fully demonstrates the sophistication of Taiwanese rap music. “About Teddy Bear” by Soft Lipa. This song is the perfect example of Soft Lipa’s jazzy smooth beat and rhyming technique. From the early party raps by L.A. Boyz and Jerry Lo to the later rap songs touching on everyday subjects by MC HotDog and Dwagie, Taiwanese rappers gradually realized that their works composed in the local languages are no different from that of the American rappers in terms of lyrical aesthetics. They began to put more emphasis on the arrangement of rhymes and “flows” rather than topics and contents. The first of its kind is Dwagie’s 2002 song “Forty-Four Fours” which is a play on the sound shi throughout the song. In 2003, the song “Life’s a Struggle” by the late Shawn Song (a.k.a M80) was released, in which he invented the “double-rhyme” technique in Mandarin. Since then, many rappers in Taiwan started to explore different rhyme schemes in their songs. Braggadocio tracks that boaster one’s rap skills also became popular. Not surprisingly, most of these so-called lyricist rappers were college students and members of hip-hop clubs at school. One notable example is the group Tripoets which was formed at the National Taiwan University Hip-Hop Culture Club and released their first mixtape independently in 2004. The Club would later see one of its members, PoeTek, blossomed into a rising star in the music industry. “Life’s a Struggle” by Shawn Song. Dropped out of nowhere in 2003, this track was released posthumously by this talented young Taiwanese rapper who is gone too soon. “Follow Me” by Tripoets. This song is a typical braggadocio in which the rappers showcase their skill of wordplay. We have mentioned Jutoupi’s name briefly in the earlier sections. Generally recognized as one of the founders of Taiwanese rap, he released three albums with the title Funny Rap between 1994 and 1995, in which the tracks “The Untold Story of Miss Pi” and “Brave New World” were considered ahead of its time. Interestingly, he translated “rap” into the Hoklo term liam-kua (song reading) which is a Taiwanese folk musical narrative genre that developed in the 17th century. The group Kou Chou Ching would later take on liam-kua as their musical inspiration and rap in the local Hakka and Hoklo languages with beats sampling traditional Taiwanese music instruments or songs by liam-kua artists such as Liou Fu Jhu (It is worth mentioning that one of Liou Fu Jhu’s songs was sampled in the track “Whyled Out” by the Swedish rap group Speech Defect). They have also collaborated with the internationally known local rapper Chang Jui-Chuan who raps in both English and Hoklo on subjects related to Taiwanese cultural identity. Taiwan also has a very diverse group of indigenous people living on the island and the language speakers did not miss out on the rap game. While most of the indigenous rappers such as Wula (Amis) from the Hip-Hop Bunch, GrowZen (Amis), T.A.G. (Amis and Atayal), and Triple Amis Brothers (Amis) still rap in Mandarin, others like Jeff (Tao) from the T-Ho Brothers, Tayal Squad (Atayal and Seediq), and Drunkey (Paiwan) from L.B.C. have used their mother tongues in the lyrics. The southern rap group Banyan Gang has also included Bunun in the chorus of one of their songs. Finally, the indie folk band LanSin has a song called “Amis Rap” which is based on an ancestral tunes of the Amis people, while the reggae band Matzka has experimented with Paiwan rap lyrics. These indigenous linguistic creativities have added an extra wrinkle to the already diverse Taiwanese rap music scene. “The Untold Story of Miss Pi” by Jutoupi. Released in 1994, this song had everything: a sampled intro, funky drum pattern, satirical lyrics, and melodic hooks. “Gín-á (Hey Kid)” by Chang Jui-chuan. A rare story-telling rap song that spoke truth about a tragic piece of Taiwanese history. 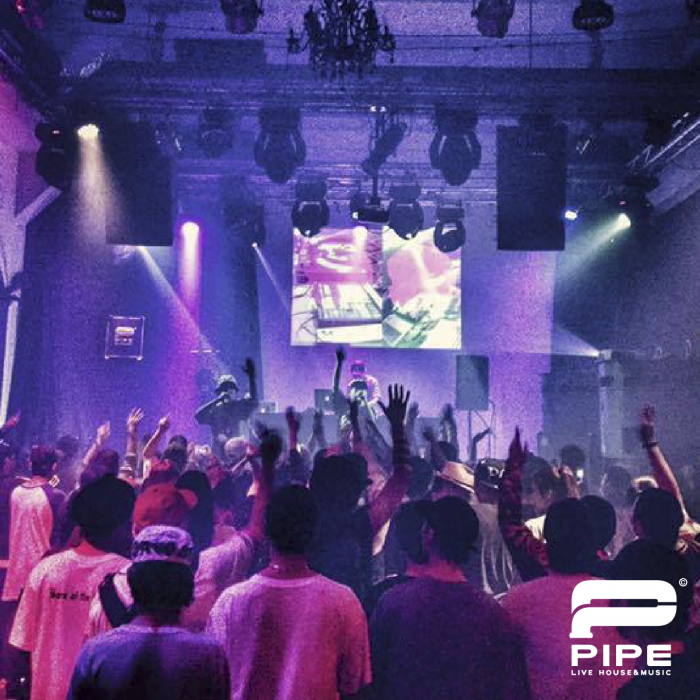 Locating in Gongguan, Taipei City, Pipe is one of the few venues that embraces hip hop acts. Its uniqueness lies in the fact that it was originally a water pumping station built during the Japanese colonial period in Taiwan. With over a hundred years of history, it is a place where tradition clashes against contemporaneity. Unlike the other venues, it is an independent building distant from residential area by the river, and its advantage is especially evident when the performers are tearing the roof off with their music blasting. Not only is it able to fit two hundred and fifty people, the large open space outside of Pipe is also what differentiates it from the rest, providing sufficient room for positive vibes to spread. 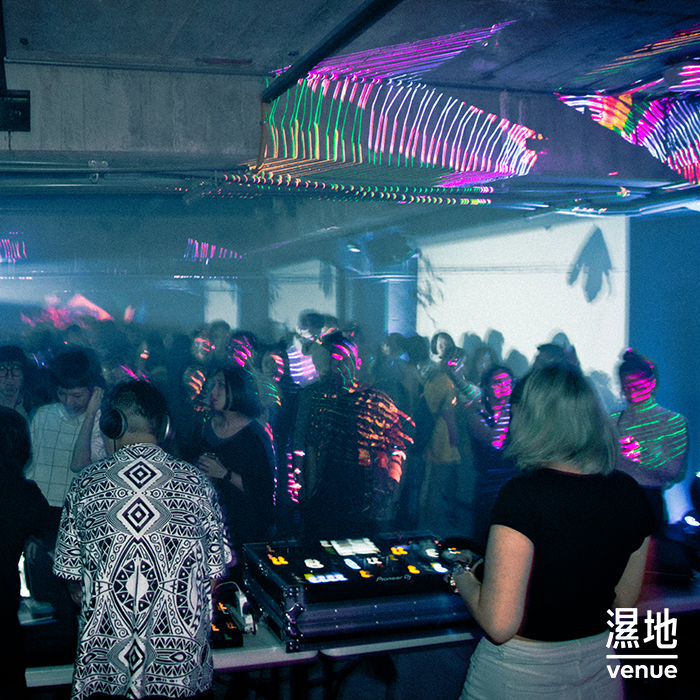 On its website, Revolver describes itself as “a unique style bar and music venue providing the alternative side of Taiwan with a place to rock & roll, meet and greet since 2010”; however, it does not truly bring out its unique characteristics. 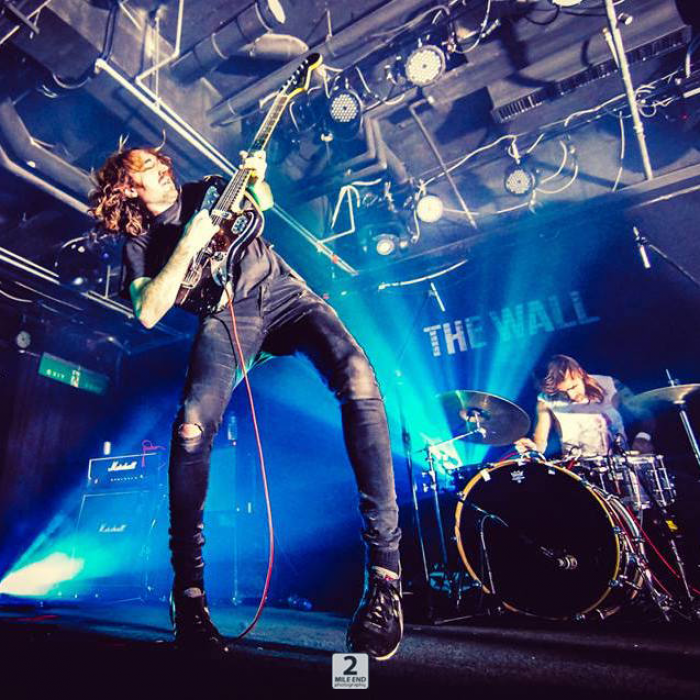 Founded by Jeremy from UK who used to be in a death metal band (who still plays occasionally), the Revolver has become one of the top venues of the indie music scene in Taipei. It has two floors; the first floor has a bar that serves beverages and hard liquor with a few tables, and the second floor provides a rather upright and foursquare space for showcases. Even though it may only fit 100 audiences, its homeliness is perhaps the edge it has over other venues to attract music lovers in town. Riverside Live House dwells in Ximending, where from teenagers to young adults always go for the latest fashion, the coolest trend, and music. 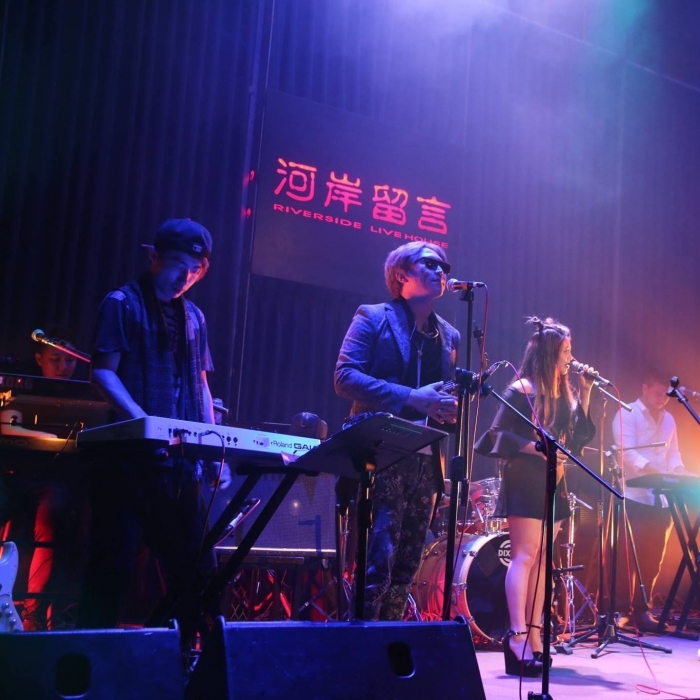 Branching from its original location in Gongguan, Riverside Live House is the second venue that is bigger in space, and larger in scale. Having been an important role in the indie music scene since year 2000, Riverside intended to grow with the bands and explore more possibilities with this venue. One of the most unique characteristics of Riverside Live House is that it is in fact operating within a historical site built during Japanese colonial period in Taiwan. Local hip-hop artists including MC HotDog, Soft Lipa, Manchuker, GorDoN, TriPoets, and Miss Ko and many others all had performed here. Unike the previous venues, The Venue is in fact not built solely for musical performances. In other words, the sound system including amplifier and speakers need to be set up separately whenever there is an upcoming music-related event. It is a five-story building with a basement that offers multiple applications. For example, the first and second floor is a café, while the spaces of other floors serve as office, art gallery, or open space for workshops and seminars. Moreover, the location of The Venue is situated at Linsen N. Rd., Zhongshan District. The area is a famous red-light district and has never been known for musical performances. However, The Venue stands distinct from its environment and provides a nice shelter for those looking for artistic expressions. True Color Music is self-proclaimed the first music label to promote Mandarin hip hop/pop music. While such statement does overlook the early attempts by other music labels, True Color is undeniably the most commercially successful hip hop record label in Taiwan. The artists under True Color include Mandarin rap pioneer MC HotDog, rap group MJ116, multi-talented singer/producer/DJ Ayal Komod (A-Yue), and female rapper Double-J. In 2015, MC HotDog, MJ116, and Ayal Komod had formed a supergroup G.U.T.S. They have sold out numerous stadiums and arenas in different cities in China, while also performed in western New York, Los Angeles, and London. True Color is definitely the most popular and well-known hip hop music label in all Madarin-speaking areas. Founded by Dela in 2005, Kao Inc. was established as a small indie record label and had only Soft Lipa as its main artist. Through the years, Soft Lipa had become a frequent nominee of music awards in Taiwan, while GorDoN, DJ Didilong and Yeemao (Leo Wang and Chunyan) are making noise in the music industry as well. Kao Inc. is known for its distinctive alternative Hip Hop sound, their artists have clear identities attract different audiences. 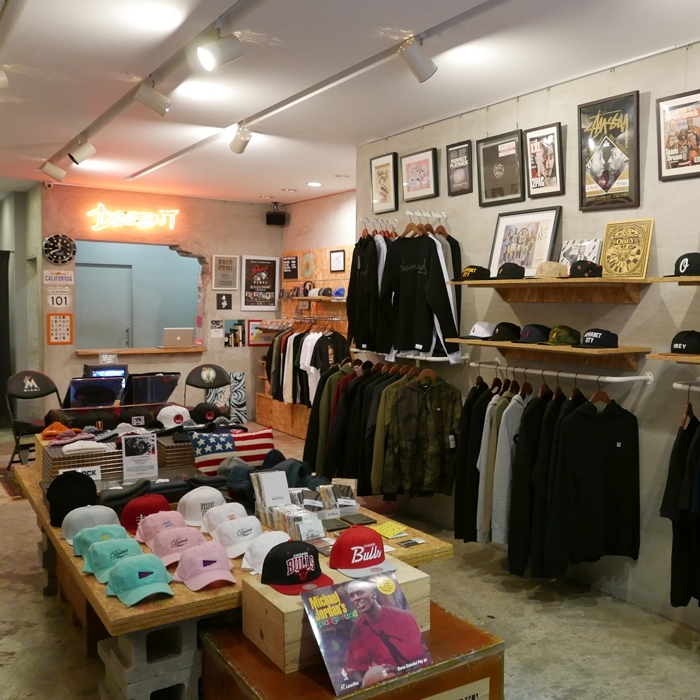 Moreover, Kao Inc. has now opened a café as well as a record shop at the same location as its office. Therefore, the music label in fact does not only promote music, but a type of lifestyle represented in its sound. Kung-fu Entertainment is founded by MC HotDog’s early frequent collaborator Dwagie (formerly Dog G), who is the first rapper to release a full-length rap album in Taiwan and also interviewed by respectable international press. The most unique feature of Kung-fu Entertainment is its location. It is one of the few, if not only, hip hop music labels located outside of Taipei City. Situating in southern Taiwan, Dwagie represents his hometown Tainan City. 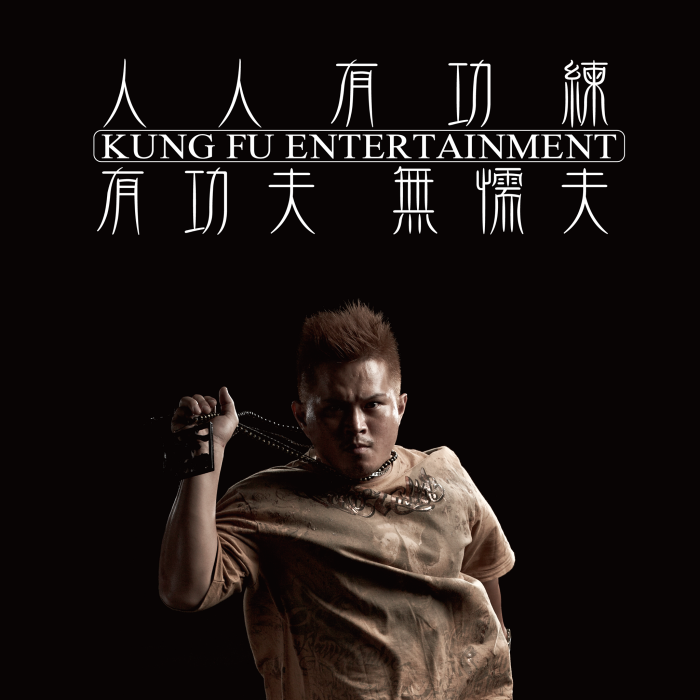 Kung-fu Entertainment consists of many rappers who are semi-professional with great skills. However, the main artists including Poetek, Xiao-ren, and the founder of the label Dwagie, who have all showcased their razor-sharp rhymes in their works respectively, while earning nominations and awards as well as good reputation for their highly social-minded lyrical content. 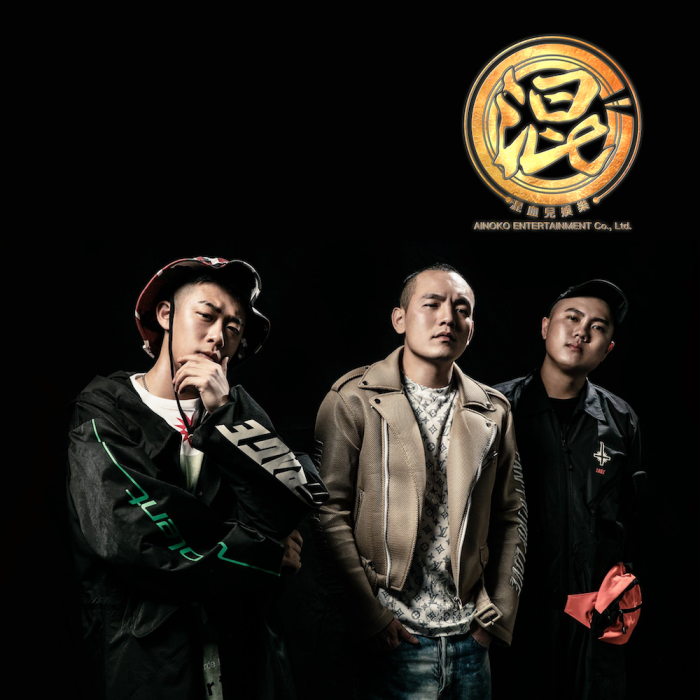 It is without a doubt that Ainoko Entertainment from Taichung has become a household name for hip hop music in Taiwan, and one can attribute its success to the rise of 911. 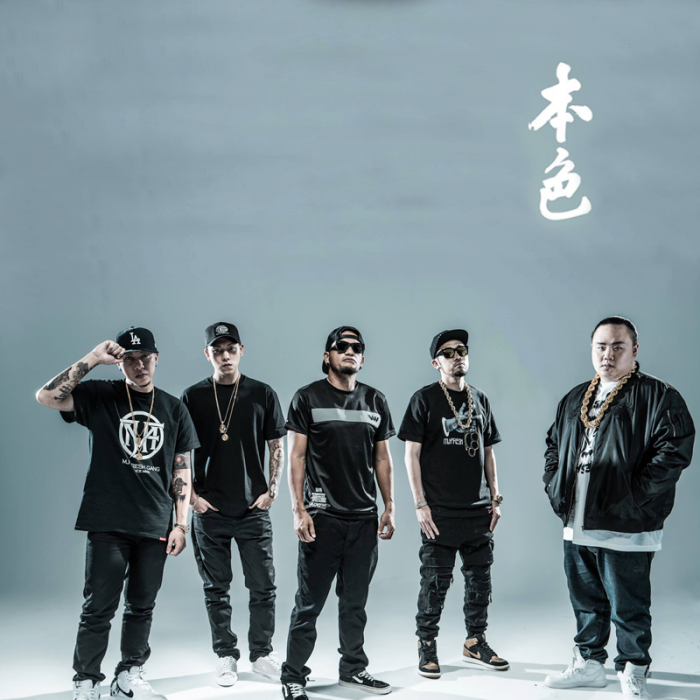 911 has successfully incorporates Taiwanese rap and catchy hooks with local favor. However, their incredible sales number and YouTube hits have established them as a force that cannot be ignored in Taiwan music industry. Furthermore, there are also many other artists that are either challenging the taboos or striving to build their identities under the operation of Ainoko Entertainment. These artists include rap trios 187 Inc, CockyBoyz; rap duo Caotun Boyz, newly signed solo artist BCW, and established rapper Ty from China. From its power moves of expansion, it is likely that team Ainoko will still be reining music charts in the near future. TGMF, acronym for The Gangster Money Fast, is an indie hip hop record label based in Taipei City (which they call “Trapei”) that has been releasing gangsta rap and trap music for the past couple years. The core rappers on the label include YZ, YB, and BCW (now Ainoko Entertainment). They have gained the support via their constant release of singles that are up-to-date in style with strong visuals while hosting events and parties from Taipei City to southern Taiwan. TGMF is also known for their previous conflict with MJ116; nevertheless, they have benefited from the so-called rap beef and gained attention of young audiences, and even won the hearts of many who thought MJ116 have gone “too commercial”. With their consistency of releasing records, TGMF has become a brand that is more than an alternative choice to mainstream rap music. 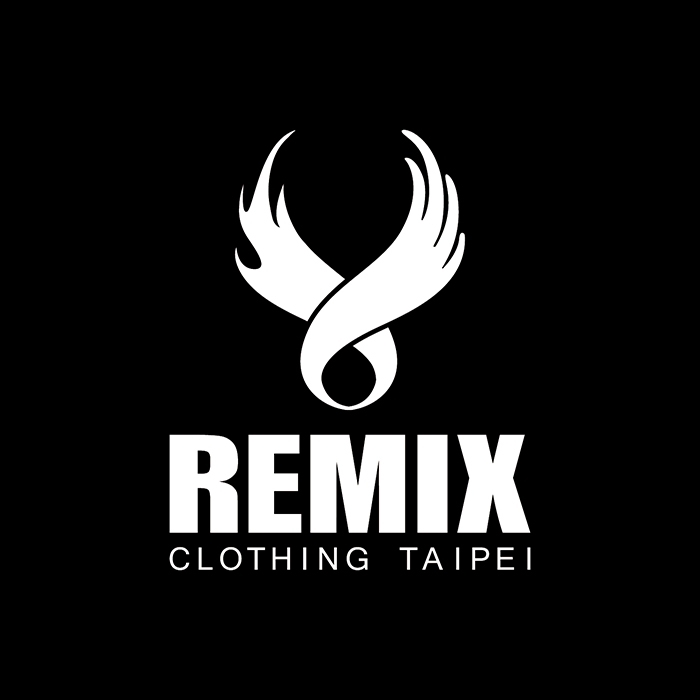 Established in 2004 by Eric and Kenji, Remix is considered as one of the most successful and long-standing local streetwear brand in Taiwan. Their most well-known and defining collection of Remix is the “Taipei City” series, in which they put embroidery or prints that spell out Taipei City on T-shirts and baseball caps. However, the name of the brand itself indicates its ambition to bring different cultures and styles together in order to create something new, which is similar to what the term remix means in music. 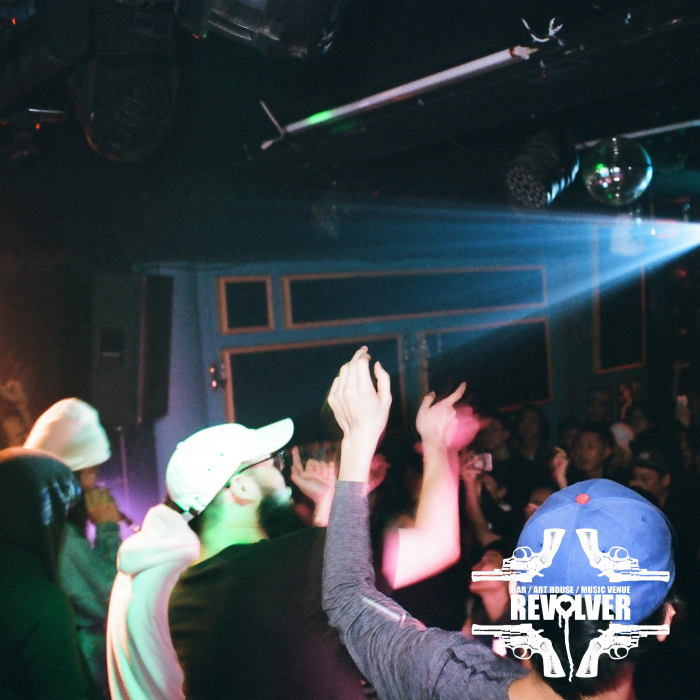 Remix’s deep connection with local street culture is shown through its sponsorship for known street dancers, DJs, rappers, as well as large music events and dance competitions. From the time and money invested into local artists and dancers, one can easily see that Remix is not an opportunist trying to exploit talents, but to genuinely support them with heart. Founded by local rapper Da Dealer (of LaBa Connection) in 2013, Prettynice inherits the tradition of golden era hip hop as it is represented through the graphic designs of its clothing items. The themes of its clothing series are often music related, including tribute pieces that pay direct homages to U.S. hip hop or R&B legends (ex. The Notorious B.I.G., Sade, Paris, KMD, etc.). Moreover, the inspirations also come from the western pop culture of the 90s, cyber culture, and vintage sportswear. The love and appreciation of the past that are embodied within their merchandises allow them to be supported by hip hop enthusiasts worldwide, which is the reason why Prettynice is one of the few Taiwanese streetwear brand to have commercial agents overseas—their products are being sold at Japan, Thailand, Itaty, and also China. It is not difficult to tell that MJ Fresh is closely connected with the local rap group MJ116 simply by looking at its name. MJ is an acronym for Mucha District in Taipei City, which is where the members of MJ116 and their friends are from. With MJ116’s rise to stardom, MJ116 and their squad decided to establish their clothing brand together. Even though the brand had generated great success during its initial stage from the supporters of MJ116, MJ Fresh has nevertheless strived to make better quality, American hip hop style garments instead of only selling its clothing items to the fans of MJ116. MJ Fresh has collaborated with both foreign and local clothing brands including Alife, Stones Throw (well-known U.S. hip hop indie label), Prettynice, AES, etc. With its fresh ideas and devoted fan base, MJ Fresh has already become an undeniable force among streetwear brands in Taiwan. Founded by Ryan Yeh, well-known actor/model Sunny Wang, and designer Chuck Lee, who have all received education in the United States, Imperial Taels is the answer to the cultural conflicts between East and West. Essentially, Imperial Taels is one of the very few, if not only, streetwear brands in Taiwan that concentrates on jewelries and accessories. 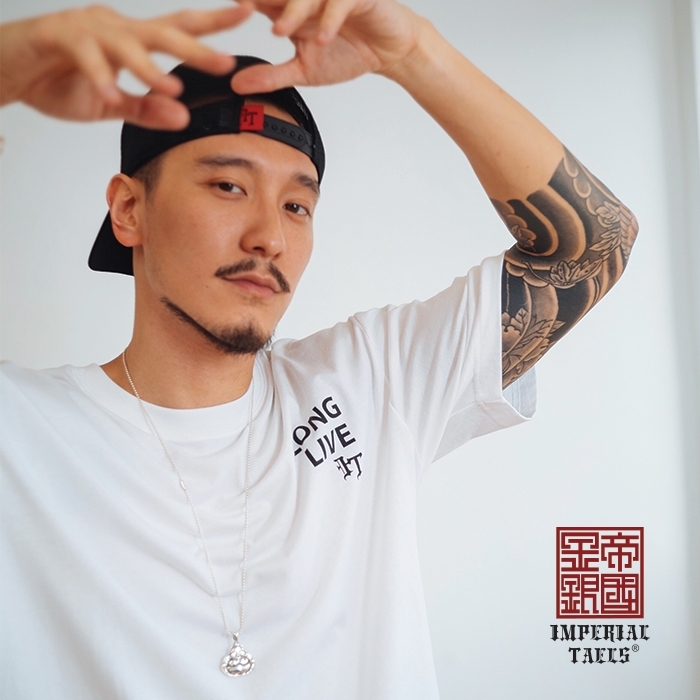 Famous rappers in the west are known to wear customized jewelry pieces and grills, and Imperial Taels not only serves as the sole option for local hip hop jewelries, but it also aims to create new standards for young fashion enthusiasts and streetwear aficionados through their works. 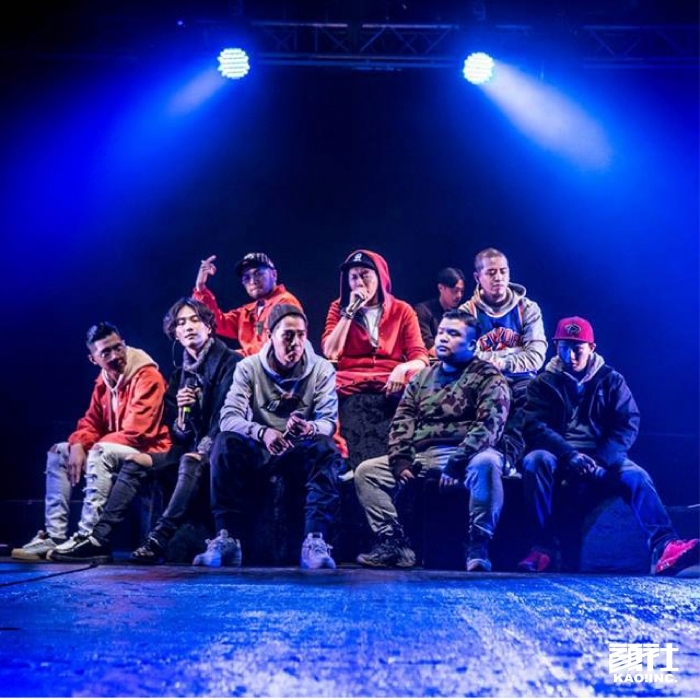 Lately, their collaboration with Barry Chen, MJ116, Dizzy Dizzo as well as Shawn Sung’s tribute film have shown Imperial Tael’s participation in local hip hop scene. Derived from the word “dissent”, the local streetwear brand Dssent is not afraid to oppose and rebel against the norms. Since its establishment in 2009, Dssent has been heavily involved in street art and culture, hosting and sponsoring numerous hip hop related seminars and events. Moreover, it attempts to go beyond its comfort zone. Dssent is also worn by many mainstream artists including singers, actors, and TV hosts, for it understands exposure is a crucial key to successful marketing. Their lines of merchandise include hats, t-shirts, and jackets. 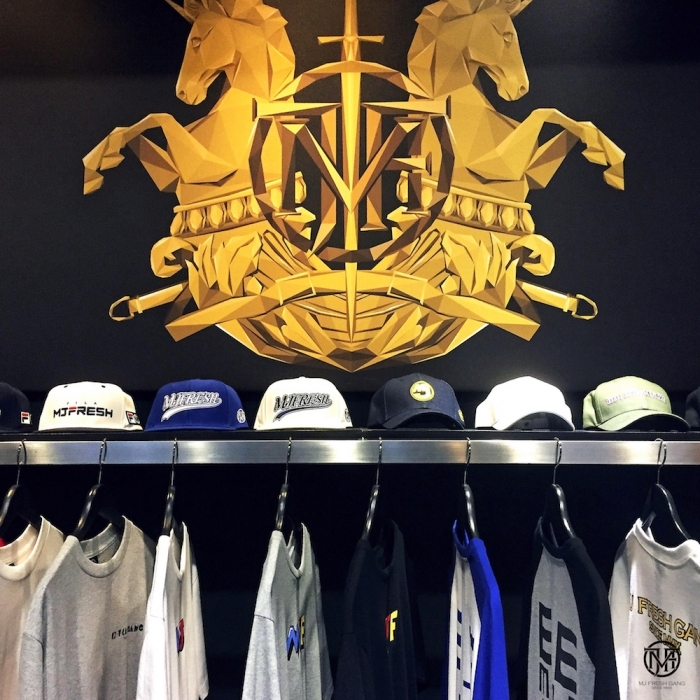 In addition, its chapter store located in Ximending also carries various streetwear brands from the United States, and being at the heart of youth in Taipei City, Dssent is eager to speak and communicate with the younger generation, and share its love for hip hop through its consistent cultivation.